If you’re considering overseas car shipping in Florida, there are things you should know to make the process as easy and stress free as possible. 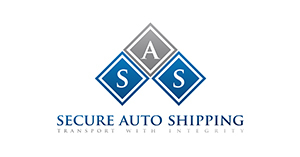 Choosing the right Florida overseas car shipping company is the first step towards shipping your car internationally. This guide to overseas car shipping in Florida can help you through every step of the process. You should always do thorough research before starting the process of overseas car shipping in Florida. Researching each Florida overseas car shipping company that you’re considering will save you from submitting quotations to multiple companies that may not be licenced and accredited. Once you’ve chosen a Florida overseas car shipping company based on their reputation and quotation, it’s time for the next step. You’ll need determine your priorities between cost and time. Are you willing to pay the Florida overseas car shipping company more to get your car shipped within a short period of time, or is cost more important? After you’ve determined this, you can work with the Florida overseas car shipping company you’ve hired to get the necessary papers in order. Most of the time the documentation you’ll need for overseas car shipping in Florida are straightforward and includes the vehicle title, copy of bill of sale, and a copy of your US passport. Next you’ll need to prepare a vehicle inspection report and take pictures for yourself and the Florida overseas car shipping company. It’s recommended that you get your car serviced and washed before it’s picked up by the Florida overseas car shipping company.